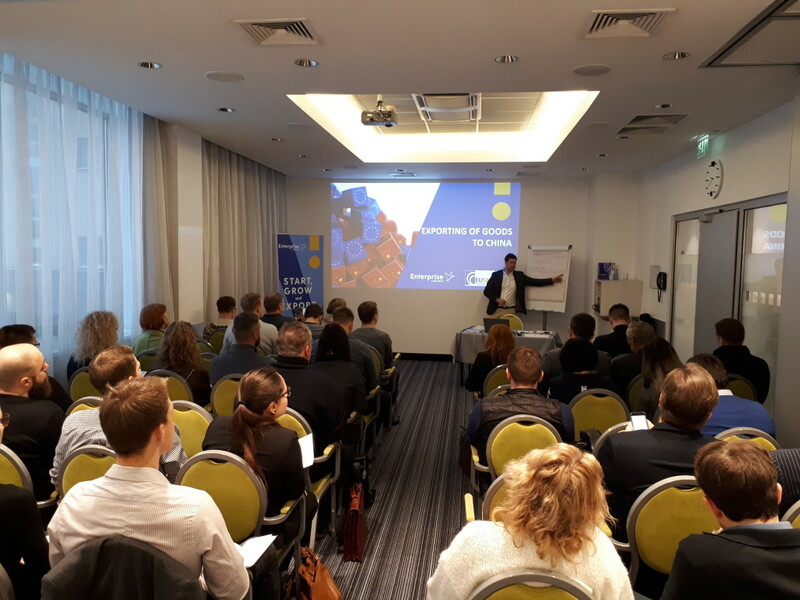 Last Friday we were in Vilnius training Lithuanian companies on How to export goods to China. 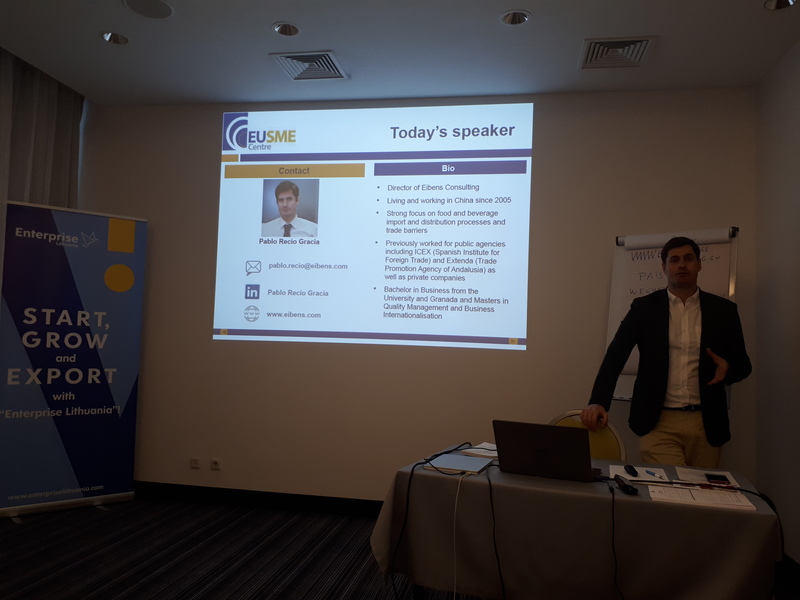 We were invited by the EU SME Centre and Enterprise Lithuania to carry out a whole day seminar for Lithuanian exporters, mostly focused on exporting F&B to China. The seminar went through many topics related to exporting to China, such as the US – China trade war and market overview, consumer trends, distribution and channels (main drivers, distributors profiles, retail, food service, traditional e-commerce and CBEC Cross Border e-commerce), technical barriers on import foods to China and practical aspects when exporting to China. The workshop ended with a Q&A session and informal networking. We would like to thank the audience for the interest shown and their engagement in the flow of the content.